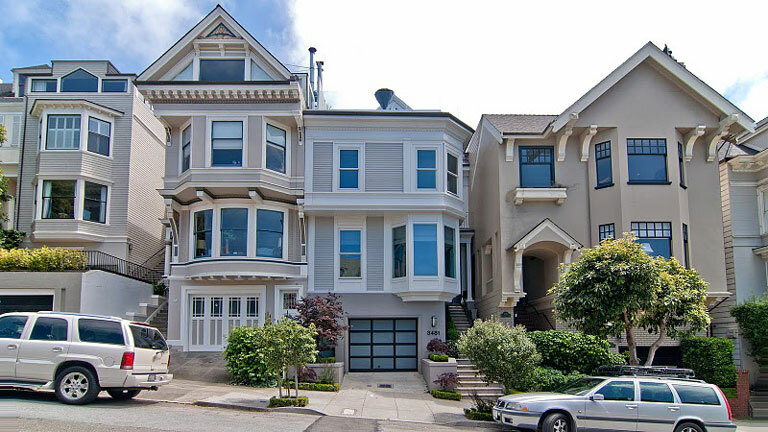 Located at 3481 Washington Street in the affluent neighbourhood of Presidio Heights in San Francisco, this stunning Edwardian home has been completely overhauled with an open-concept design with modern finishings. Listed by Teed Haze for $7.495 million, this gorgeous three or four bedroom home (depending on configuration) is just shy of 5,000 square feet. The house also features a very private, beautifully designed backyard and a rooftop patio with tremendous views just off of the top-floor master bedroom suite. There’s also an impressive wine cellar and home theatre room in the basement, with wide plank, white oak floors throughout. A truly beautiful house through and through, the gallery below offers us a glimpse into this beautifully designed home.